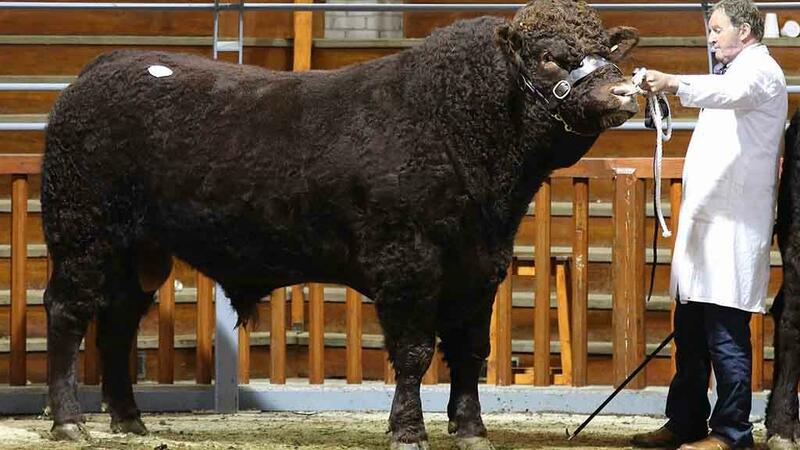 Attracting a full ringside of both pedigree and suckler producers, the judge, Glandon Lewis, Welshpool, awarded the overall championship to Harestone Lamborghini, from R. and N. Barclay, Insch. This November 2016-born bull, by Whitebog Convener out of the imported cow, Ideale, sold for the joint top price of 9,000gns to Messrs Alexander, Blairgowrie. Also selling for 9,000gns was September 2016-born Drumaglee Legend by Baron, out of Drumaglea Alice, from Patrick Boyd, Tiree. The buyer was Martin and Sons, Dalry. The reserve overall champion was Bacardi Maximus, a junior bull, by Gulliver, from Roy and Adam Crockett, Hawick, which sold for 3,800gns. 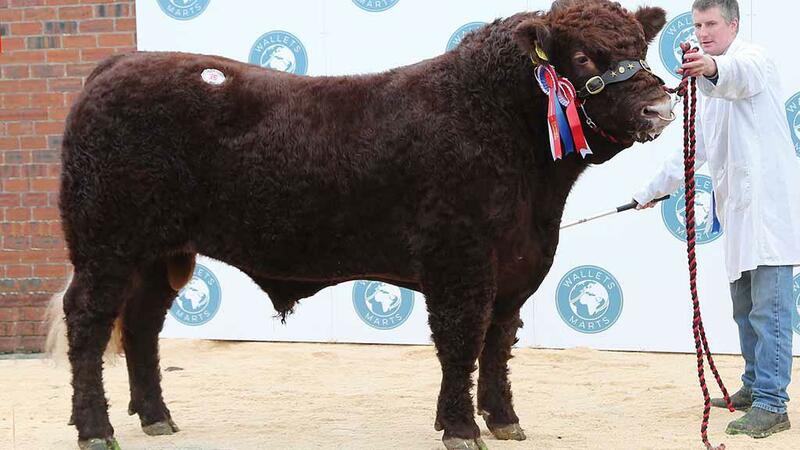 Reserve overall champion, Bacardi Maximus, from R. and A. Crockett, Hawick, which sold for 3,800gns. Heifers topped at 3,000gns for Cuil Mabel, from Colin McClymont, Newton Stewart. This May-calving heifer sold to A. Hamilton, Thornhill. 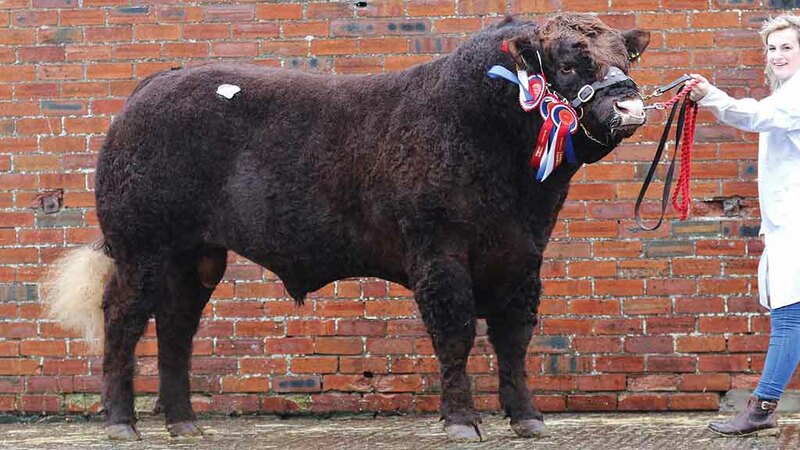 The May 2016-born heifer, Drumlegagh Lea, by Fanfan, from the Elliotts, Newtownstewart, Northern Ireland, sold in-calf to Drumlegagh Hamish, to Alex Wright, Pinmore Mains, for 2,400gns. Averages – Pedigree section – 16 bulls, £4,672.50 (-£1,138); 18 in-calf heifers, £1,575 (-£926); 8 bulling heifers, £1,155 (-£1,066). Commercial section – 4 heifers with calves at foot, £1,687.50; 30 in-calf heifers, £1,733.33 (+£40); 200 bulling heifers and heifer stirks, £1,317.50 (-£55).